Sometimes it is necessary to cut back in order to strengthen life. We live in a world already saturated with the printed word, and beginning a second inundation of the electronic word: we are in danger of allowing the mind to become servant to the tongue, the pen and the keyboard. Here is a small book which hopes to reverse the tide: here is a little crystal cup dipped into the great flood of words, and in its measure of bright delight, it offers refreshment and music to the soul. The best writers in the Platonic tradition have been sensitive to the pulse and rhythm of the universe and their works resonate with it: they knew the processions which emerged from the still and silent centre, and the reversions of all things back to that centre which is the Good. The adaptor writes, "The following work illustrates the music of philosophy, to be found within the prose of the philosophers of the Platonic tradition. It is a little book of beauty and of truth; and the pieces it contains are as I heard them, while I listened to their various voices over an extended period of time. Each piece is a meditation in itself. The intention of this book is to inspire . . ."
If it wants the presence of beauty? Please ensure you have selected the appropriate postage/discount from the button’s accompanying drop down menu. Please note we do not ship to the US or Canada. 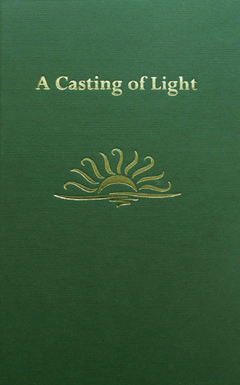 Like A Casting of Light, this little book presents a number of passages from Proclus arranged in verse form: the effect is both striking and inspiring. The voice is our native instrument of music, whether the vocal or the written word; both, when genuine, are the song of soul, and together they voice the soul’s music. 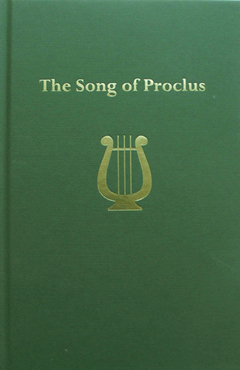 The numerous offerings in this little book will present you with a flavour of both the nature and scope of the beautiful vision of Proclus, the extraordinary lover of wisdom; and they will illustrate the music of philosophy, to be found within the prose of the philosophers of the Platonic tradition. Together they represent the Song of Proclus; and each piece is a meditation in itself. Through unconfused union with The One. 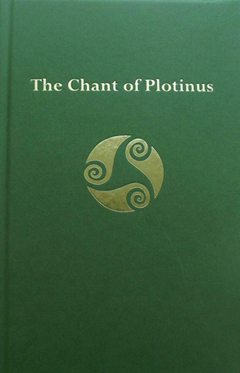 From the introduction: "My own experience, from frequent and prolonged reading of the various works of Plotinus, is that it often appears as if I am listening to a dialogue, an interior dialogue, between the man and his deepest self; but at other times it is as if he is talking directly to the soul of the reader, calmly yet firmly demanding a kind of clarity of thought and concentration which is both rare and to a certain degree unnecessary in ordinary daily life; and yet at other times it is as if he is chanting to an audience, either present or imagined, intimate yet vast, and drawing it into a truly psychical world of profound investigation and dialectic inspection. 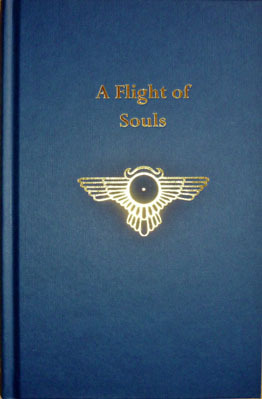 He does not seem to write merely for the sake of necessity, but because he desires from his soul to talk with whoever is willing and ready to listen and engage with him – and I can only imagine that he wrote as he thought and as he spoke: which is one reason why his pieces are so vibrant and vital, as one is engaged with a whole soul immediately present." And the two become one. 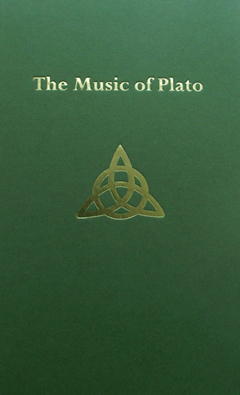 At once scientific, full of reasons, enlightening, controversial, divisive, beautiful, accurate and mystical, the words of Plato have resounded through the years, until all who look at philosophy look at Plato and all who look at Plato look at philosophy – so central has been his music to all subsequent generations of seeking souls. The tradition he generated lives on until this day and will continue for so long as the love of wisdom inspires mankind. It is replete with golden links and precious gems, the souls of men and women imbued with such a love, like a glittering chain about the breast of the goddess, radiating such wisdom and beauty as they are truly able. It is the friend of every other tradition that places the wisdom of the good at its head; and as Philosophy is the mother, so the Platonic Tradition is one of her most beautiful offspring. And strength of his soul. 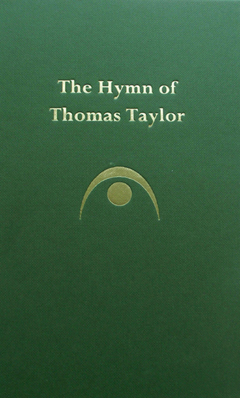 Transcending the limitations of his birth, his education, his health and any desires for personal comfort, Thomas Taylor dedicated his life to the understanding and promotion of the philosophy of the Platonic tradition – for no other reason than it is of the greatest good for humanity upon this earth – and in this, he left to us such a remarkable body of work, that it is difficult to comprehend that this was the production of one man in one life; surely only enabled through inspiration and by divine allotment. Surrounded by ignorant contempt in his time he ever kept his eye upon the goal, and in the fervent hope that a more enlightened posterity would appreciate, embrace and continue the work…..and I join with him in that hope and that the anticipated time is now. The spontaneous urge to give thanks for goods received is natural to the human condition. All the pieces in this little book, drawn from the Platonic tradition of philosophy, are genuine expressions of such thanks; and of certainty, faith, truth, belief, need, experience and love. Aesthetics alone should be put aside when considering or using these invocations and songs, as they are regarding subjects which defy commonplace modes of expression. The Platonic tradition is very much alive and Philosophy continues to sing through this tradition’s years and life, for the well-being and the good of all. The intention of this book is to inspire . . .
That splendid-gifted health with me may dwell. Through mysteries which rouse the dormant mind. And paths divine unfold as I ascend. And rapidly regain her native sky. Shall find her long-lost Paradise of rest.